ice cream Archives - CH Edwards, Inc.
Ben and Jerry`s ice cream just got even more sweet! Just when you thought Ben and Jerry`s couldn’t get any sweeter they kick it to the next level. Just in time for the beautiful spring weather approaching, three new ice cream flavors are being launched. 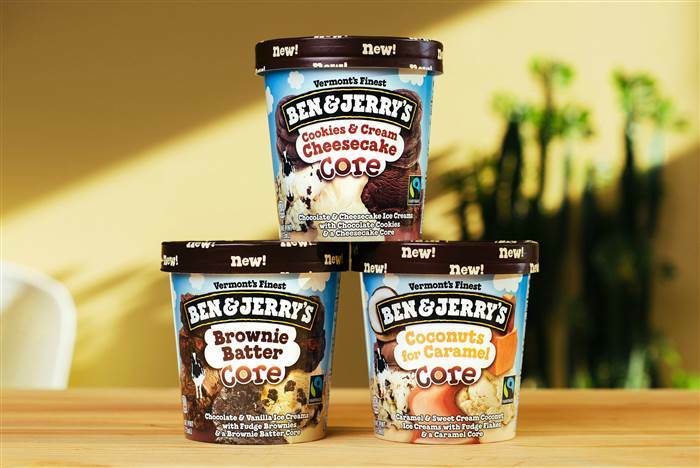 Brownie Batter Core, Cookies & Cream Cheesecake Core, and Coconuts for Caramel Core are the newest additions to the Ben and Jerry`s ice cream selection. These new flavors belong to the “Core” series. Which take ice cream to the next level by having a center made of pure deliciousness. If you’re not familiar, it is usually caramel or fudge or whatever best pairs with the ice cream flavor. Now back to these three amazing new flavors! If you are the kind of person who always finds yourself sneaking the extra brownie batter from the bowl, then Brownie Batter Core is perfect for you. This pint is filled with chocolate and vanilla ice cream, brownie chunks and wait for it…. unbaked brownie batter as the core. The next flavor is perfect for the type of person who loves both cheesecake and cookies and crème but doesn’t always have a cheesecake around when the craving hits. The Cookies & Cream Cheesecake Core is the perfect treat to keep in your freezer for that craving and whenever it hits. The last flavor will leave you anxiously waiting for long summer days with the mix of caramel and sweet cream ice cream, fudge flakes and a caramel core. Since it is not quite summer yet, this sweet treat is the perfect substitution. Ice cream season is officially here and what better way than to kick it off with some new exciting ice cream flavors. Now that you know the inside scoop on these flavors, the hardest part is picking which one to try first.